For the 11th consecutive year, Dr. Alex Huang will be shaving his head for kids’ cancer research. A pediatric oncologist and professor at Cleveland’s Case Western Reserve University (CWRU) and the Angie Fowler AYA Cancer Institute at University Hospitals Rainbow Babies & Children’s Hospital, he’s no stranger to the fight against childhood cancers. In fact, as an accomplished cancer fighter who’s dedicated time – and hair! – to helping raise money for childhood cancer research, he’s the very definition of a “Rockstar Shavee”. 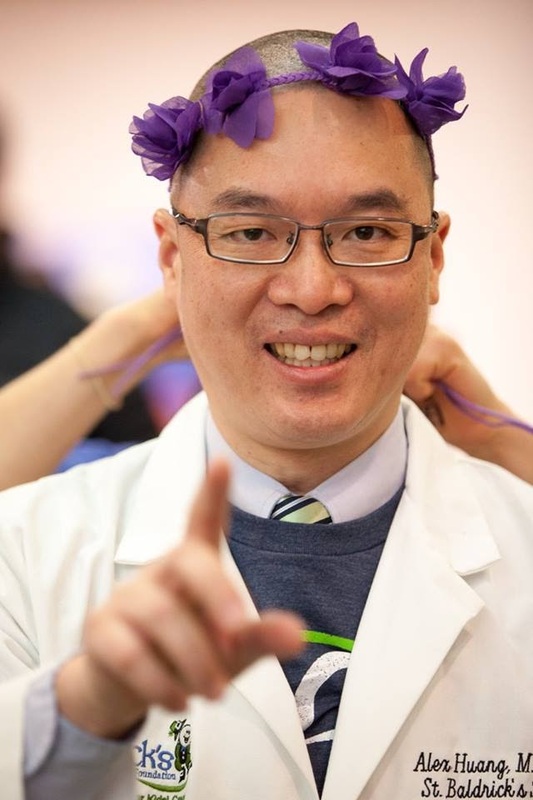 Dr. Alex Huang, winner of a St. Baldrick’s Innovation Award, will shave his head for an 11th time this year.